When was your last time you get a dozen of bouquet? A bouquet of roses... Normally when I think of flowers, I would buy by myself and put them in vase at my office table. Hmm... 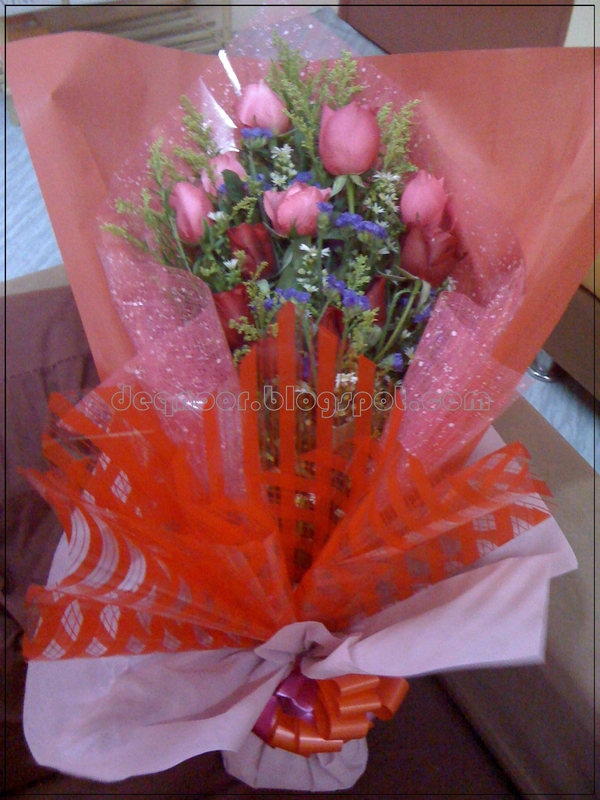 I got different feeling when someone give the roses bouquet to me. 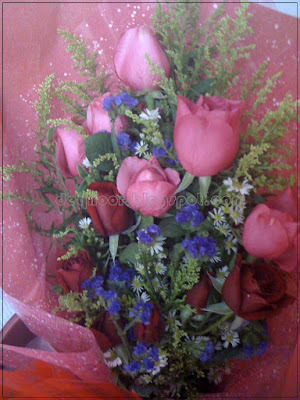 I was really happy and all the bad mood release immediately when I saw the bouquet. Anyway, sorry for those who get all my bad tamper yesterday. You should give me something if you don't want to get mad. Haha... JK! Thank a lot... I really love them so much! haaa...ok r tu nor.....sekuang2nye......leh senyum srg2...(layan perasaannn)..
haha... xde masa nk layan perasaan sgt ni.. huhu..
dah lama tak bagi bunga kat mana2 pompuan.